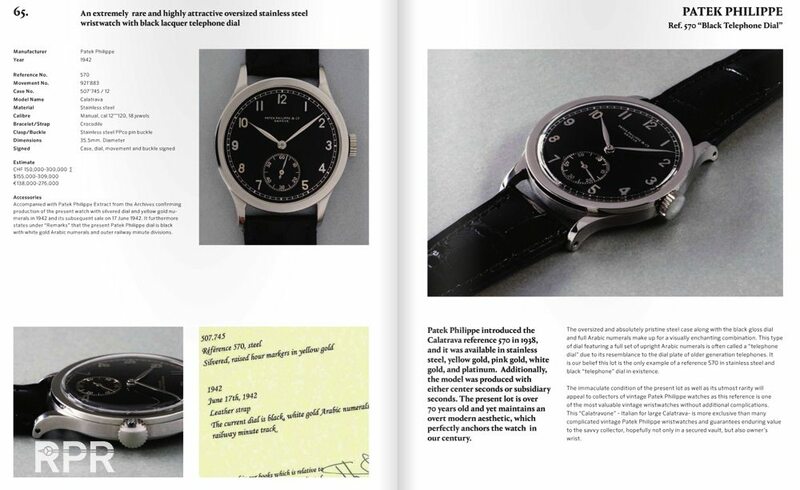 The Phillips E Catalogue is online now: Check it out over here… Find below some more brilliant examples from the sale! 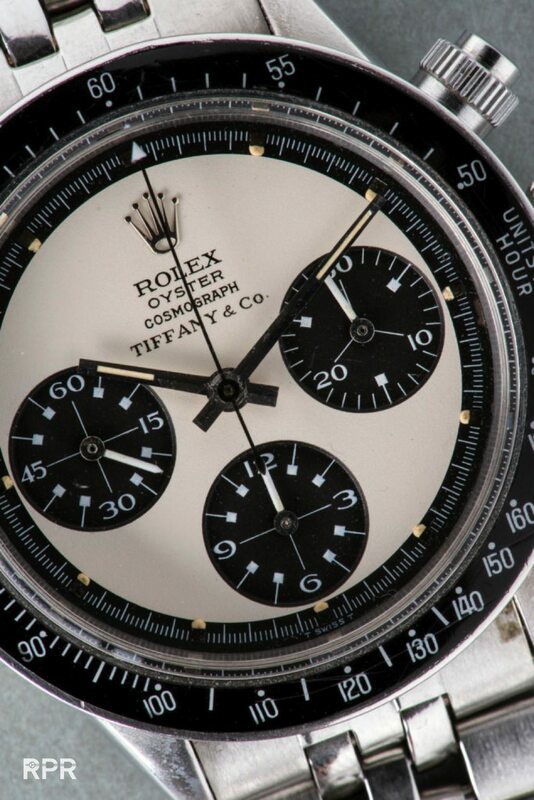 Then lets focus on the vintage Rolex highlights coming up for sale. 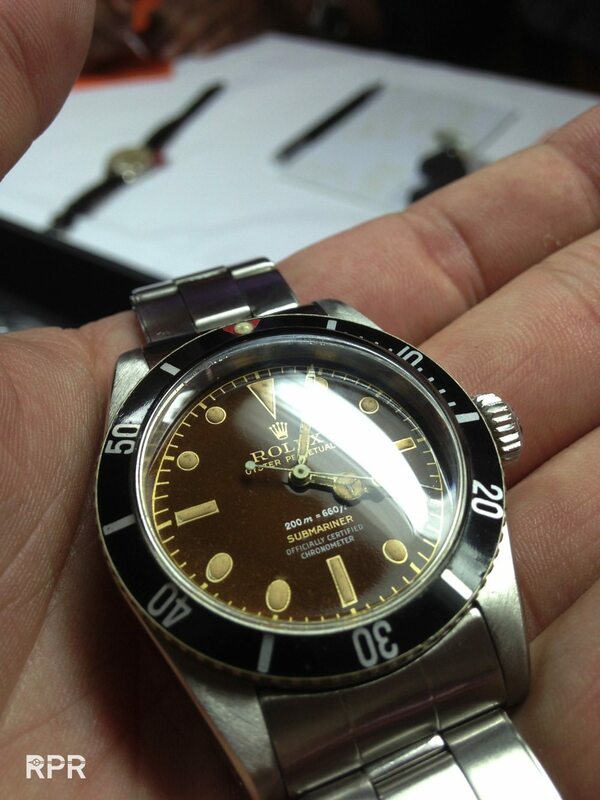 First is the 4 line tropical brown Ref 6538 Big Crown. 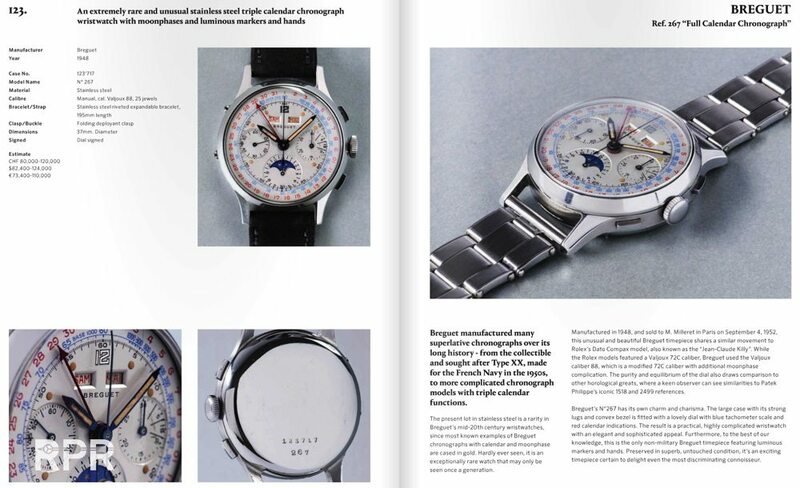 It has been offered for sale by Christie’s in May 2013 and sold by Aurel Bacs back then to a known collector, who paid a massive Usd 545.000,= for it, which are now almost 1/2 million euro. Therefor the estimate of 300-600 CHF is not crazy at all and my gut feelings are telling me this beauty is gonna go sky high…. 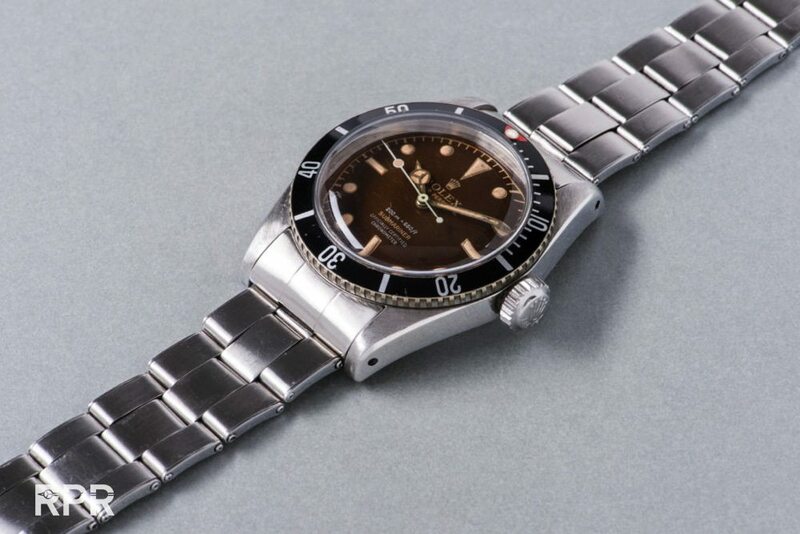 Made in the 1950s, Rolex reference 6538 is known by two nick names, the „James Bond” due to the watch’s appearance on Sean Connery’s wrist in Dr. No, and also by the name „Big Crown” due to its oversized winding crown. 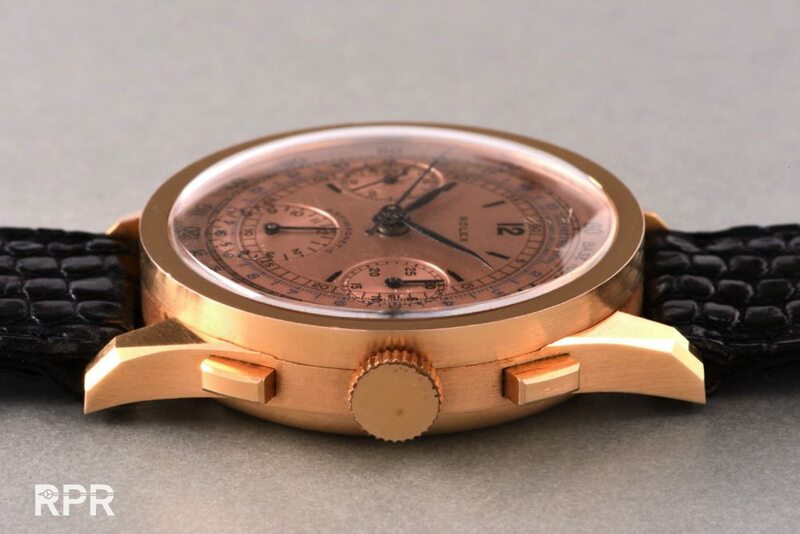 A rare and highly desirable „4-liner” variant referring to the four lines of text found on the dial at 6 o’clock, this watch is in our opinion, the most important reference 6538 known in the collecting community due to the spectacular „tropical” dial having aged to a superb and uniform shade of tropical brown. 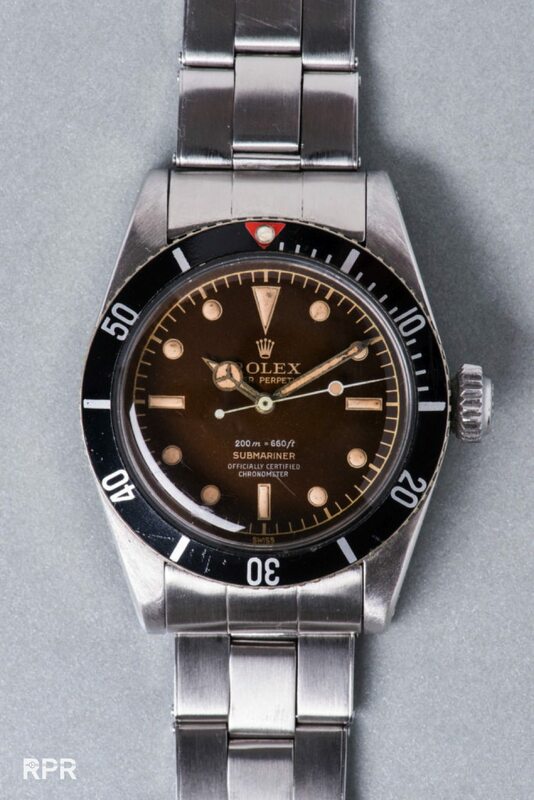 Due to its overall immaculate state of preservation, the present watch holds the record for the highest price ever realized at auction for a Submariner, further highlighting its importance. 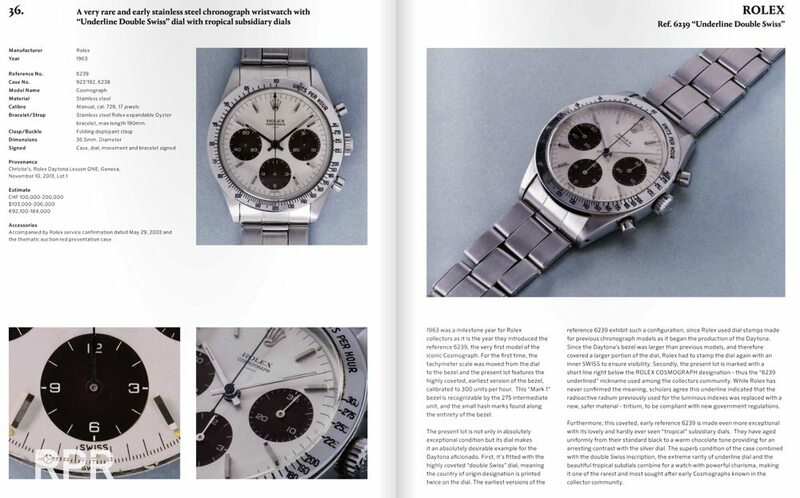 It is an ultimate trophy for collectors of rare Rolex sports watches. 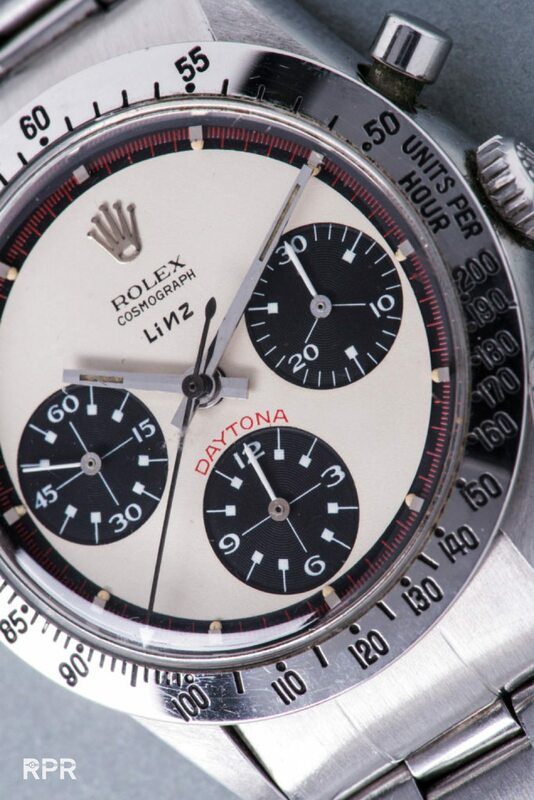 Exceptionally rare and stunning, the present Rolex Cosmograph Daytona, reference 6239, is fitted with the only known Paul Newman dial bearing the prestigious „LINZ” retailer signature. 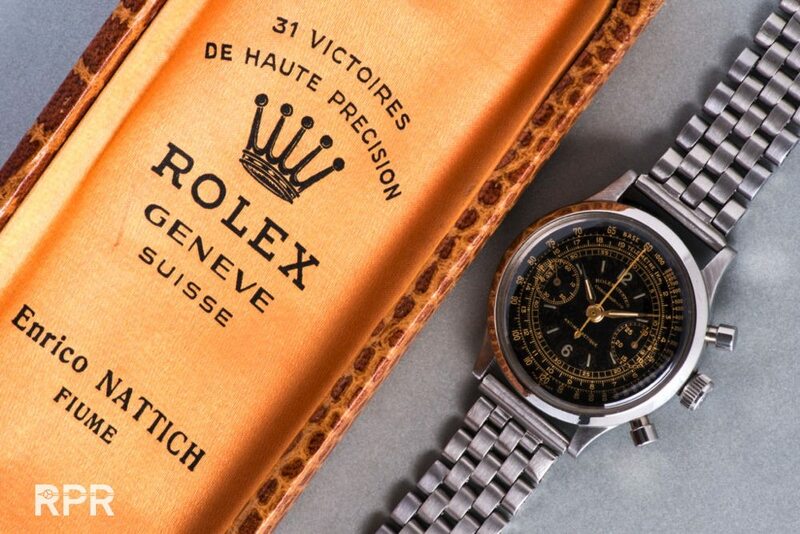 This Texas-based retailer was founded in 1877 and for generations, was one of the U.S.’s earliest and most influential luxury watch retailers. 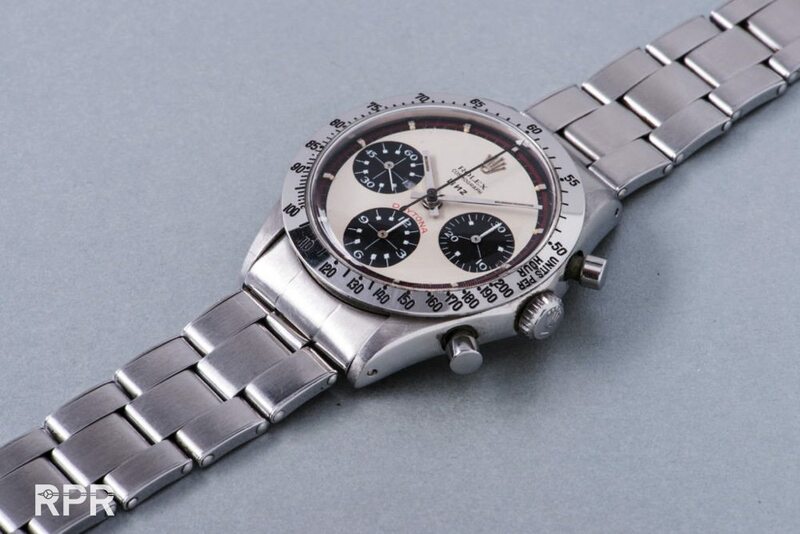 Made in 1968, it is one of the rarest examples of the Daytona reference 6239 known to exist. 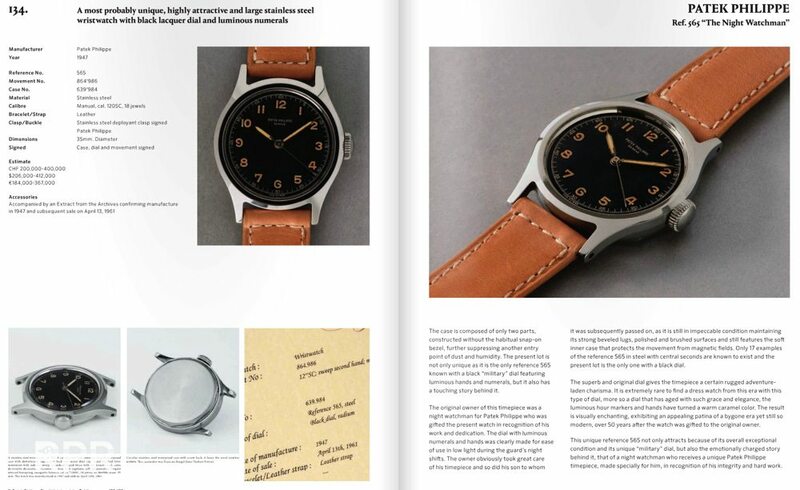 Linz’s unforgettable logo, with the letter N printed backwards, adds an eccentric and enchanting element to the dial that makes it extremely desirable to collectors. 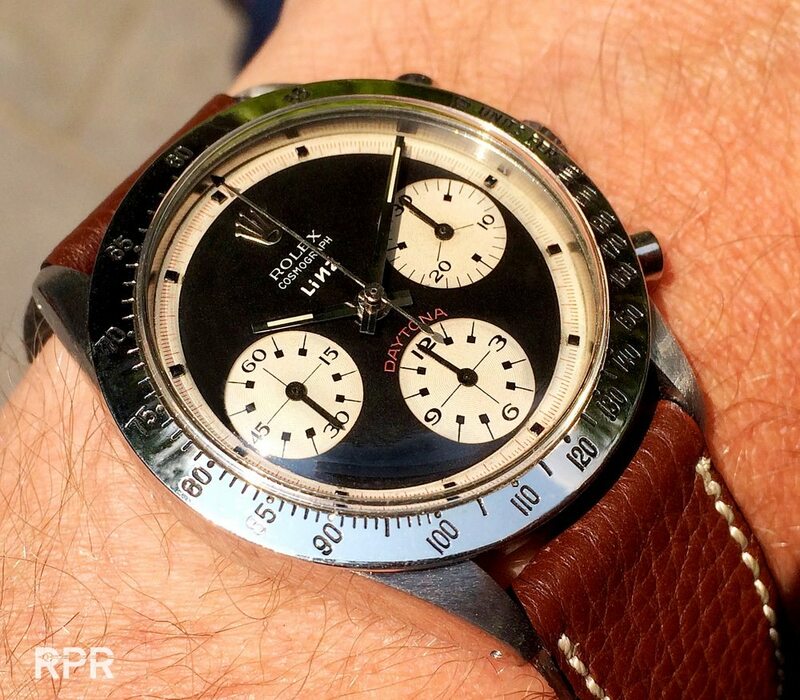 I have handled a black Rolex “Linz” Cosmograph Daytona some while ago that was found in the US by it’s original owner. 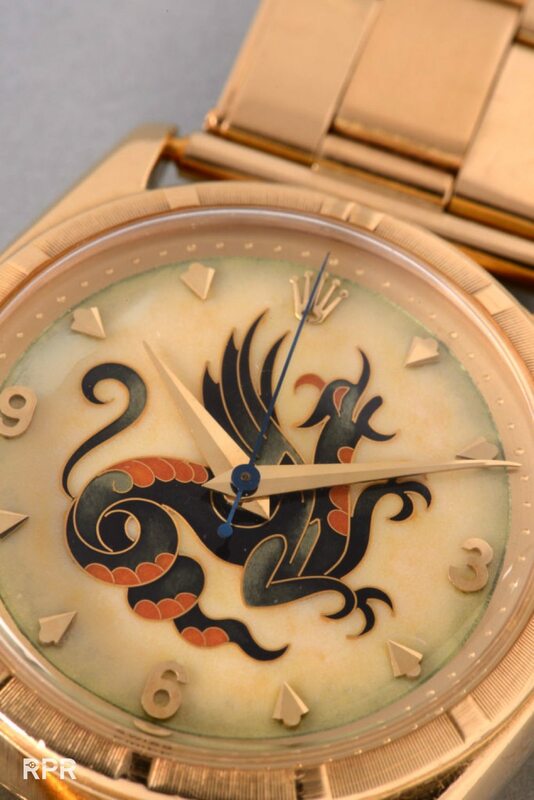 The present reference 6085 is a highly important, possibly unique Rolex wristwatch fitted with a spectacular cloisonné dial depicting a coveted dragon. 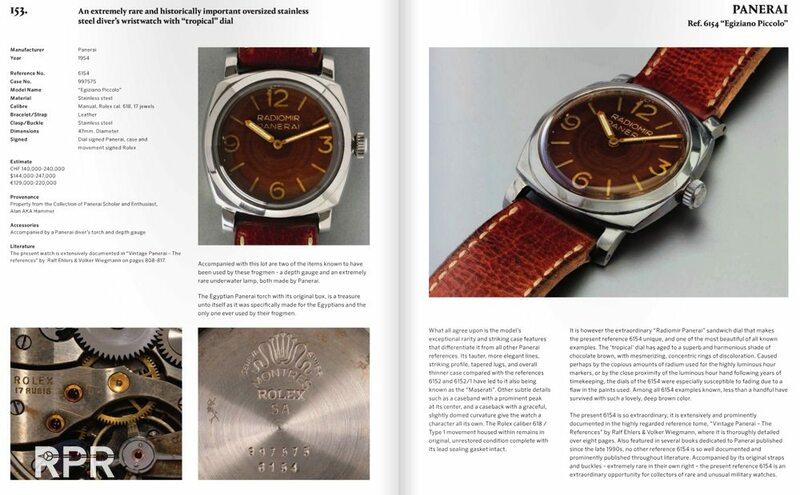 Rolex wristwatches fitted with cloisonné enamel dials are amongst the world’s most desirable collectible watches. 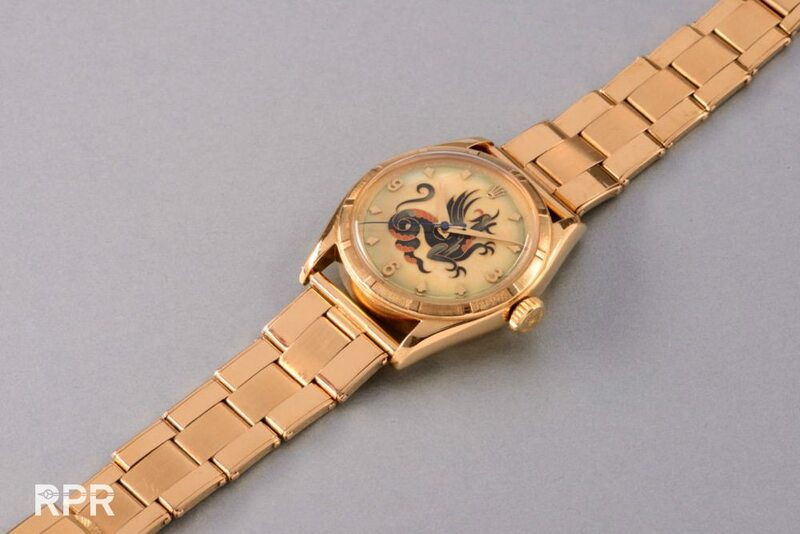 Those depicting a dragon are considered the ultimate motif for the most discerning collectors. 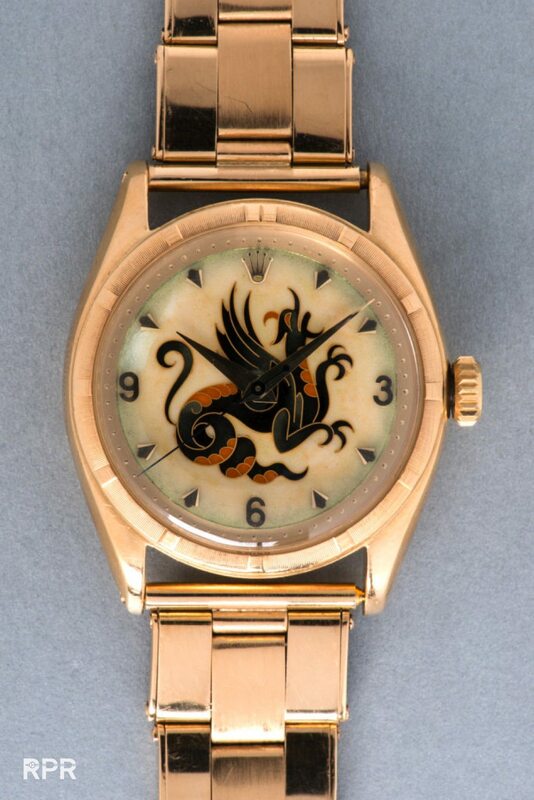 Scholarship indicates that only five Dragon dial Rolex models are known to date, each housed in a different reference making this reference 6085 most likely unique. 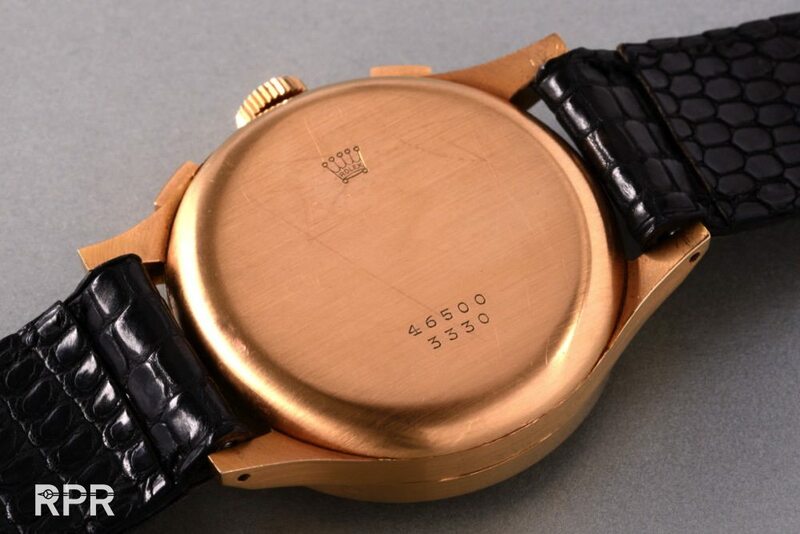 This example’s stunning beauty, uniqueness, and exceptional craftsmanship demonstrate in every way that this was a true Rolex masterpiece when made in 1951. 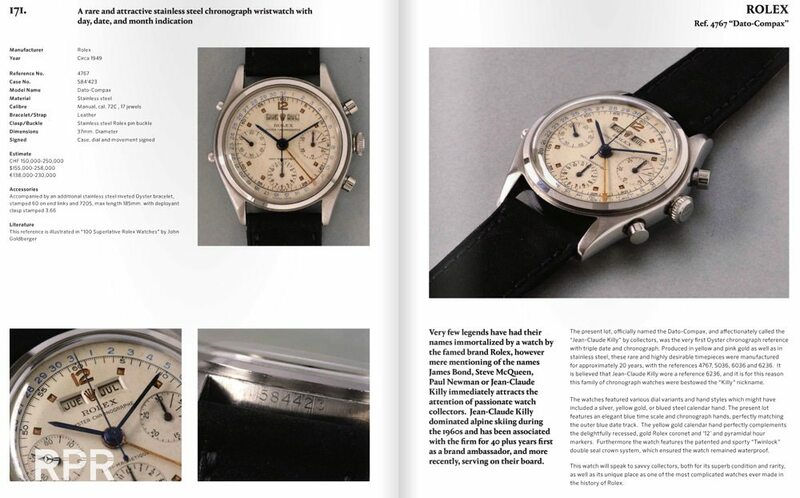 Over 60 years later, it remains a treasure worthy of crowning the world’s finest collections. 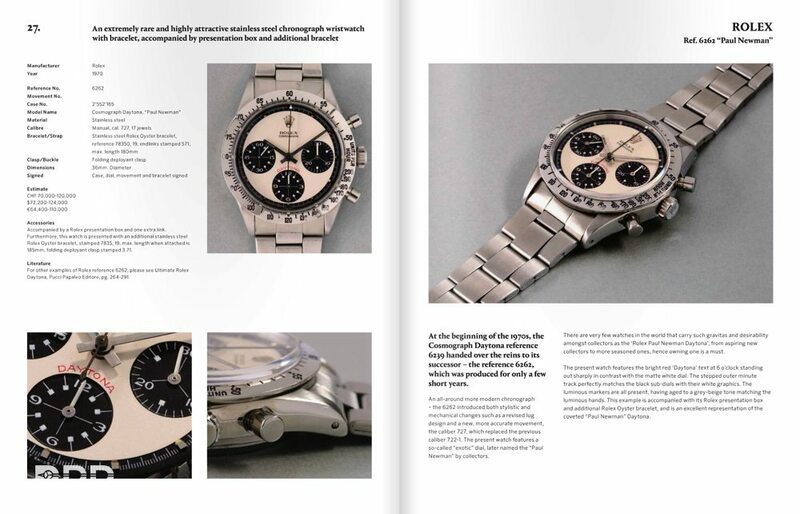 The reference 3330, along with the reference 3335, is considered amongst the rarest and largest pre-Oyster Rolex chronographs ever produced by the firm. 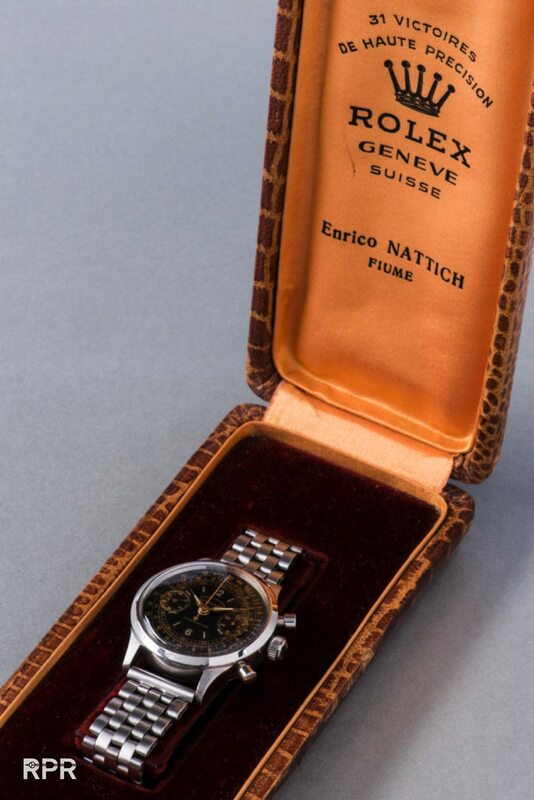 Produced in the 1940s, they boasted large cases, unique for the majority of watch brands during this time period, with a diameter of 37 mm. 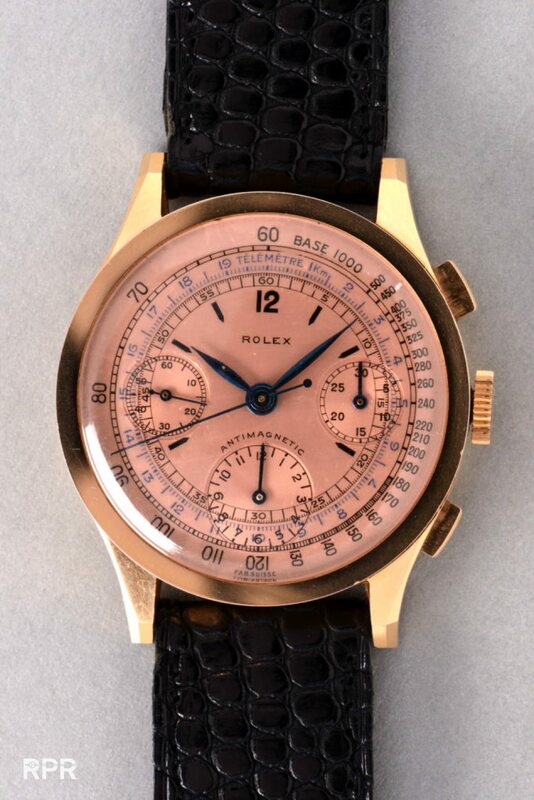 Only a handful of the reference have appeared at auction in the past 15 years, underscoring this model’s utter exclusivity, and the present example in pink gold is, without exaggeration, the world’s most beautiful and best preserved example of the reference one could hope to obtain. 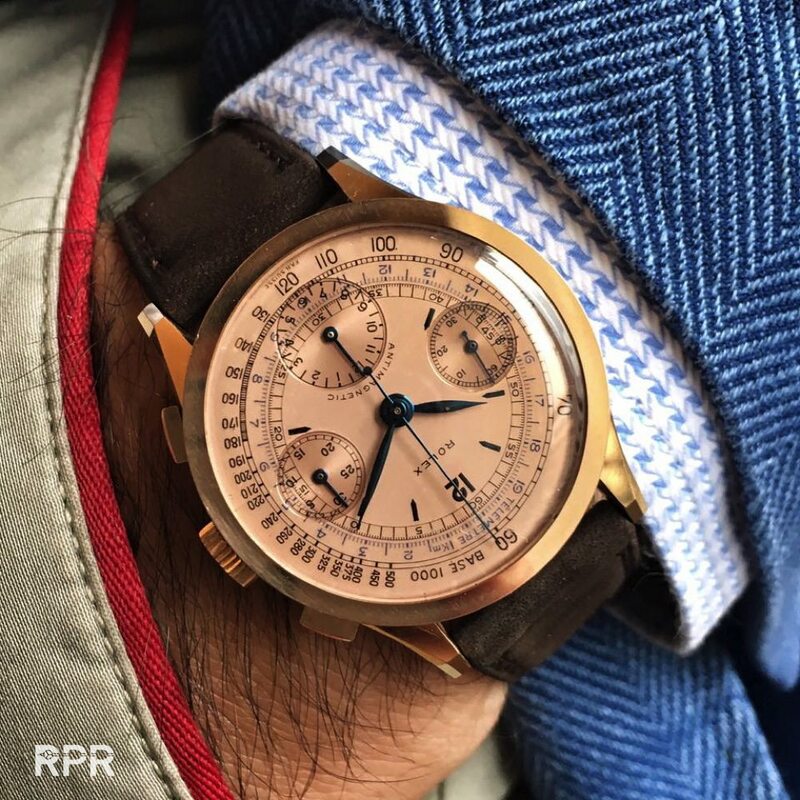 Fitted with its original rose-colored, multi-scale dial, every element of the watch is in absolutely pristine condition likely having spent its lifetime of 70 years unused in a safe. 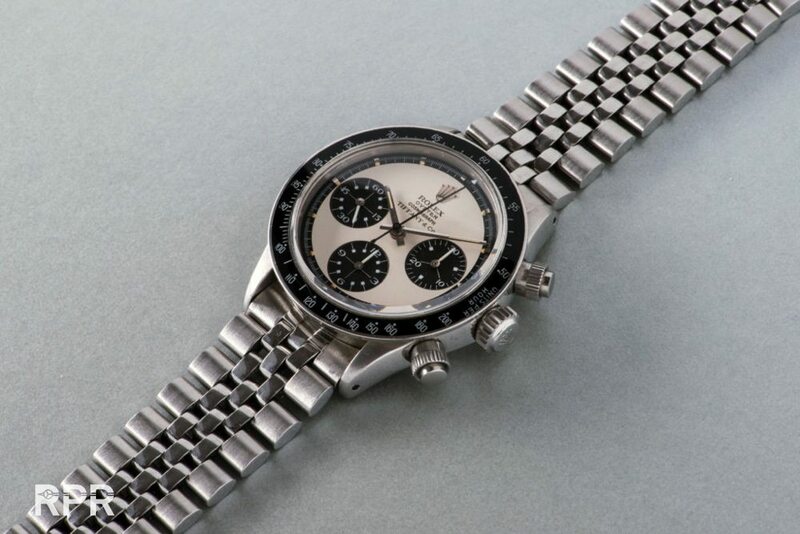 Model name: Cosmograph Daytona “Paul Newman Panda” Tiffany & Co. 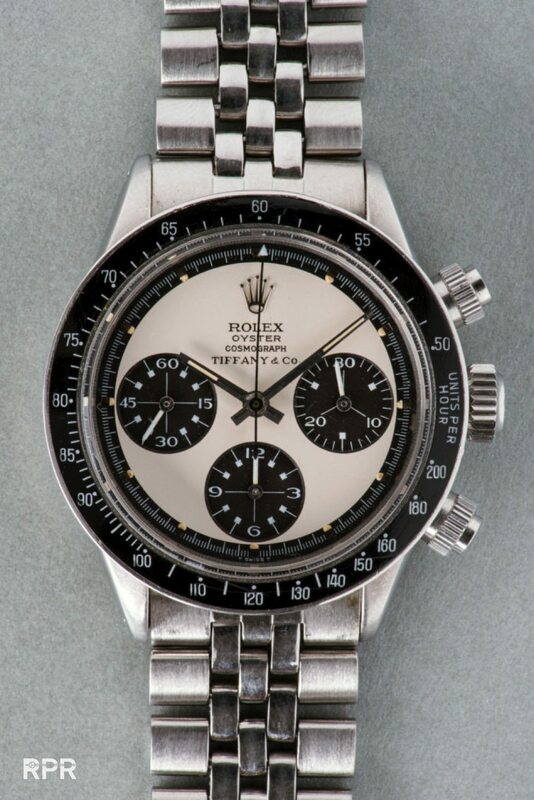 This fresh-to-the-auction market and previously unknown reference 6263 Cosmograph Daytona „Paul Newman Panda” is, according to scholarship, the only known and correct example retailed by Tiffany & Co. Rolex’s exotic dial for the Cosmograph Daytona, with its Art Deco-inspired flare, became known as the „Paul Newman” after the famous actor who wore one for many years. 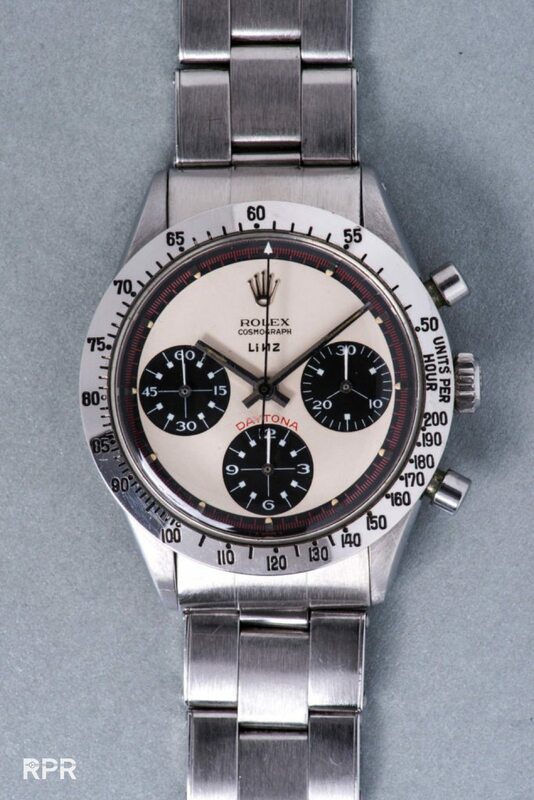 Its combination of utter rarity, exclusivity, and superb state of preservation make this one of the most important and valuable Daytonas in the collecting community, and a trophy watch worthy of a prominent place in the world’s finest collections. 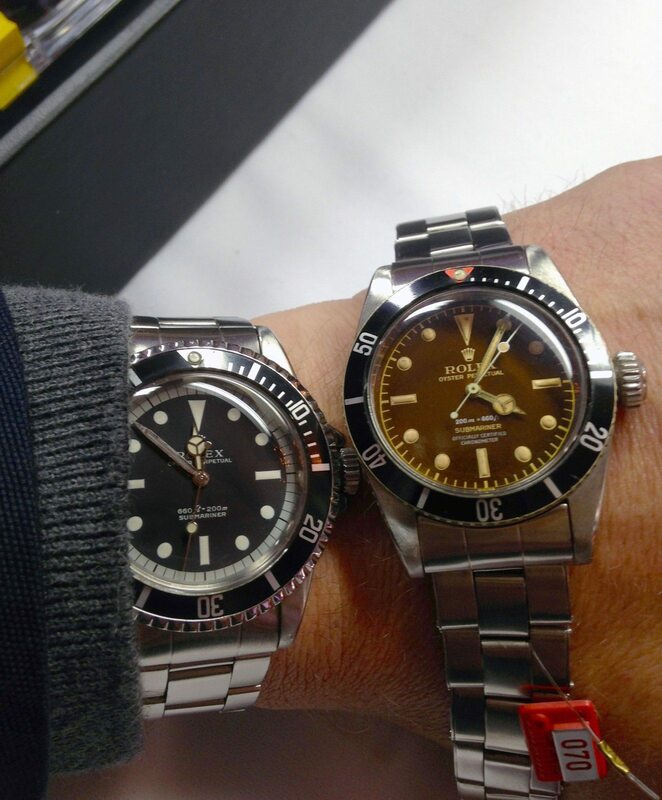 Model Names: Dato Compax and Monoblocco from the Descendant of the Original Owner. 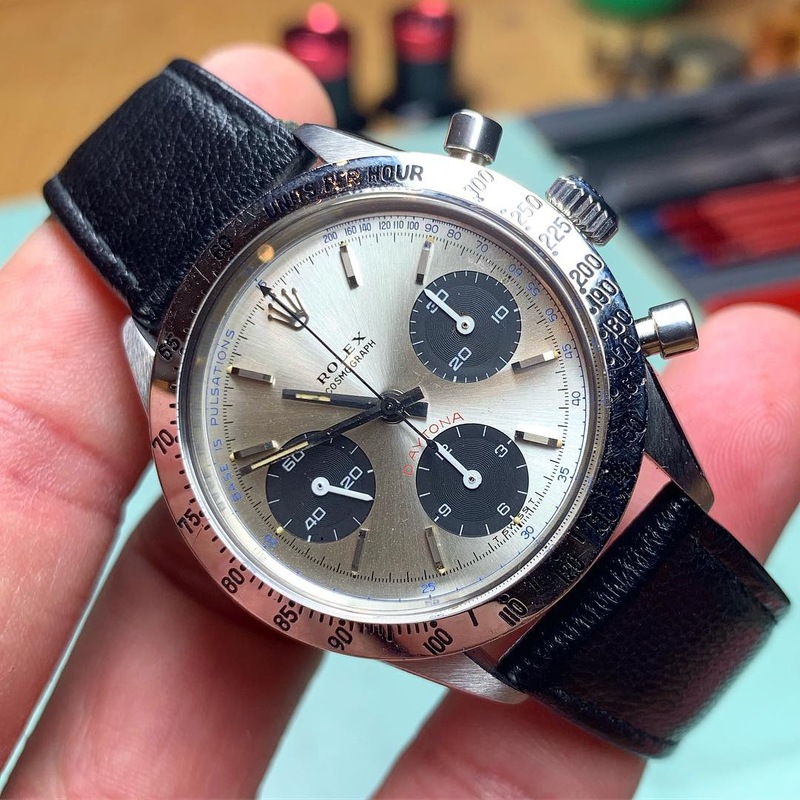 An absolutely fresh-to-the-market pair of complicated vintage Rolex chronograph watches coming from the descendent of their original owner, each superb examples, and each purchased from the same Croatia-based retailer, Enrico Nattich. The first is one of the most exciting Dato Compax examples to appear on the market in recent memory. 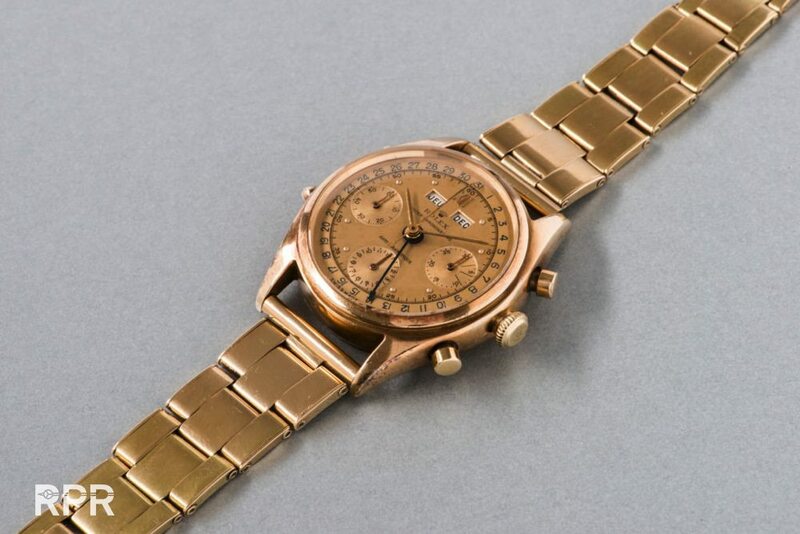 Launched in 1947 and known as the „Jean Claude Killy”, the reference 4767 Dato Compax was Rolex’s first triple calendar chronograph wristwatch in an Oyster case and one of the most complicated watches ever made by the brand. 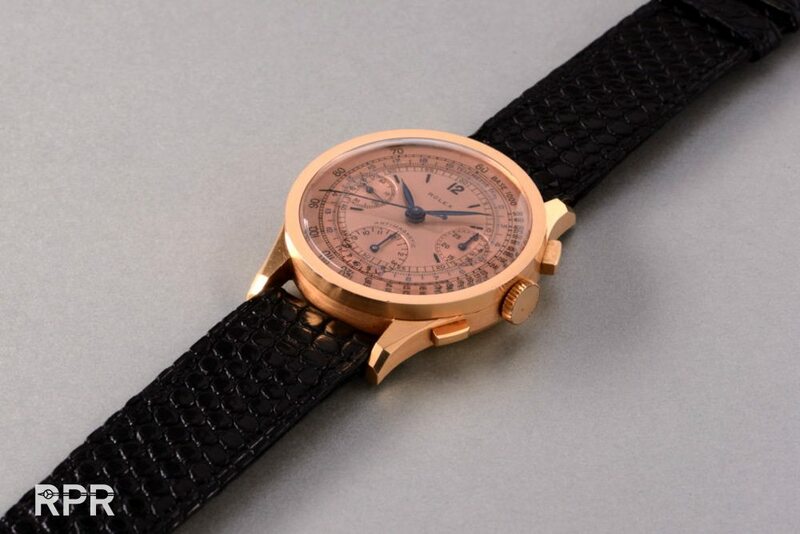 The original owner enjoyed wearing this beautifully preserved watch, fitted with a rare champagne dial, only on weekends. 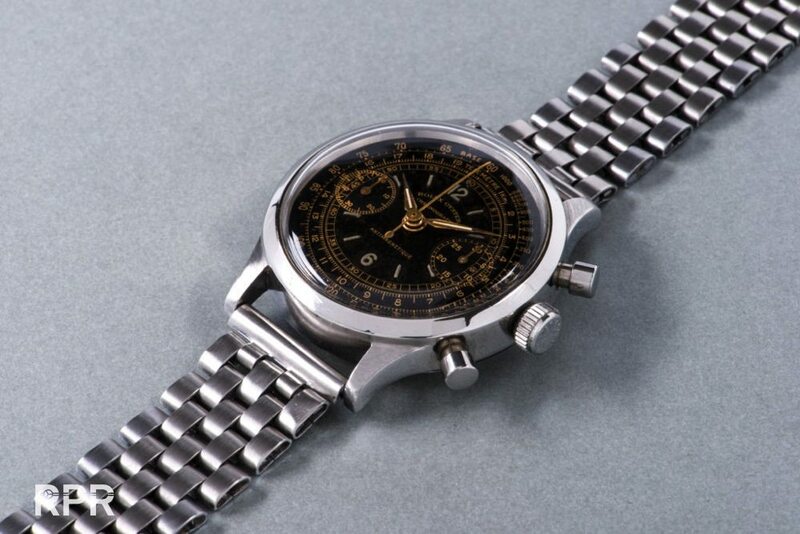 During the week, he chose to wear the stainless steel reference 3525 presented here as his „everyday” watch. 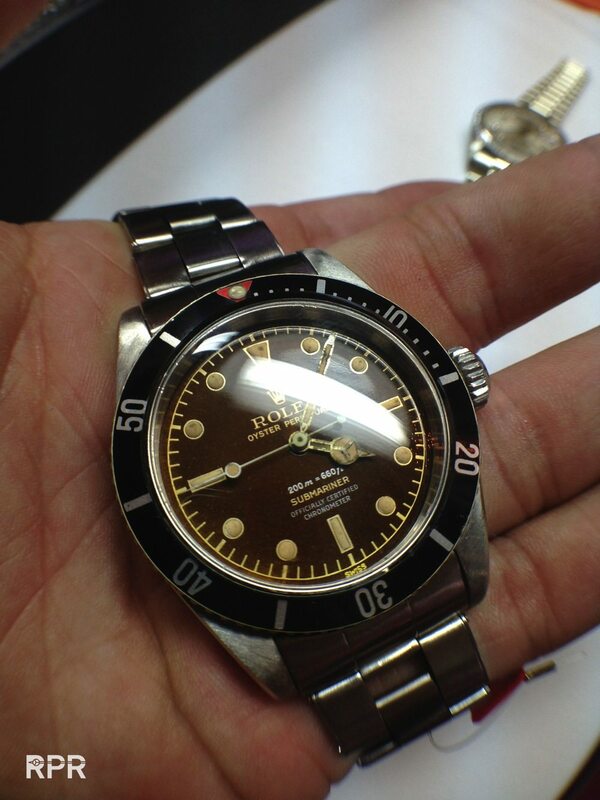 Clearly a gentleman of exquisite taste, this reference 3525 is as stunning as the reference 4767 he selected, with a rare black dial that has aged to a wonderful shade of dark brown. 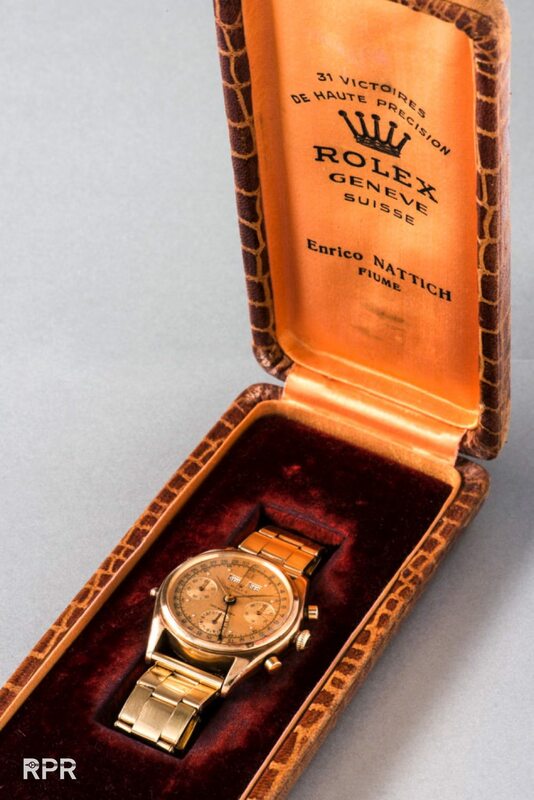 Both come accompanied with their original, signed Enrico Nattich Rolex boxes, and each is exceptionally well preserved and in superb condition. 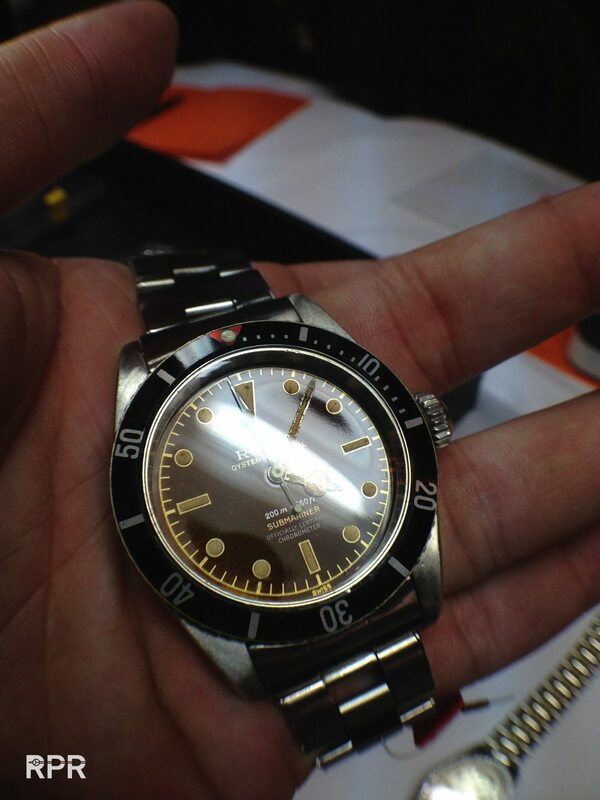 Rolex Monobloc ref 3525: 50’000 – 80’000 CHF. Find all information about the sale over HERE. 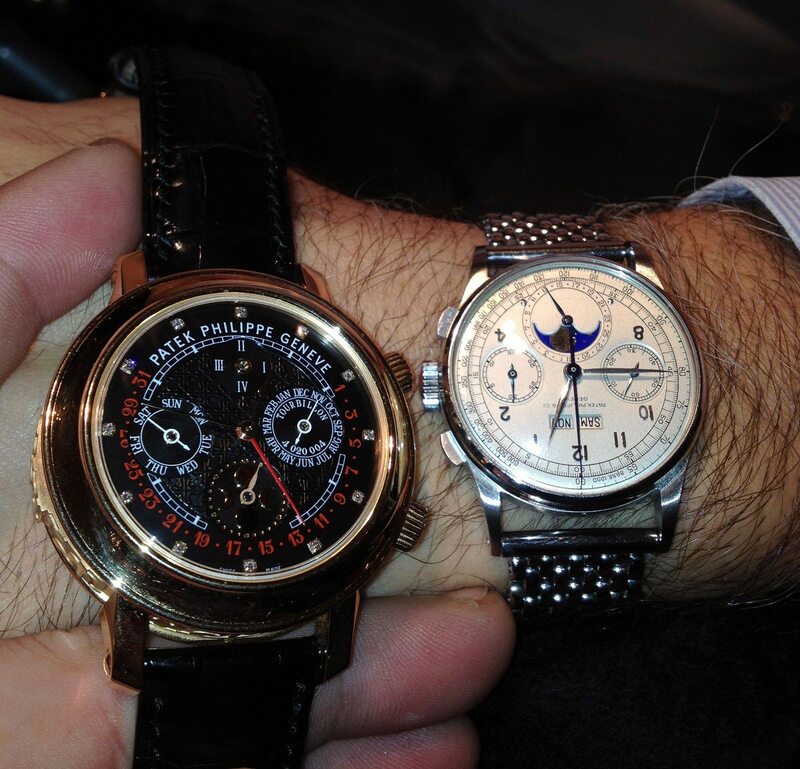 For more information about the watches contact Aurel Bacs, Paul Maudsely, Paul Boutros or Sam Hines over HERE. 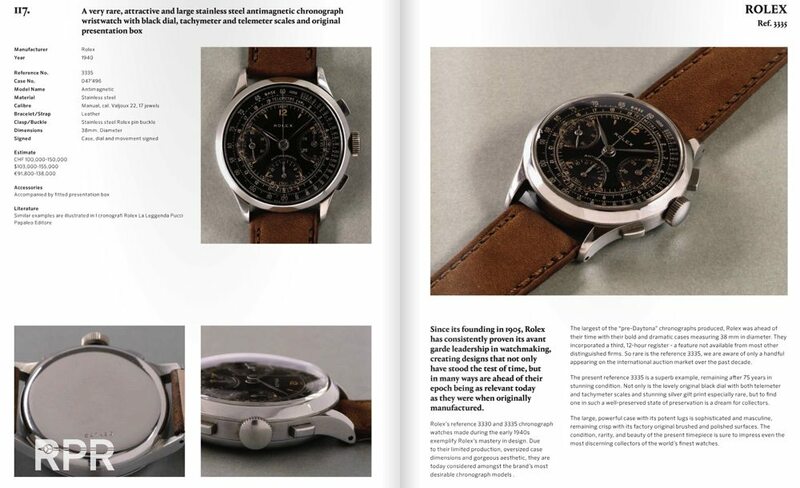 GENEVA – 22 SEPTEMBER 2016 – Following the record-breaking Spring season which established Phillips as the global market leader in watch auctions, Phillips in Association with Bacs & Russo is delighted to announce a double evening sale dedicated once again to the world’s finest collectible timepieces. Taking place on 12 & 13 November 2016 at Hôtel La Réserve in Geneva, highlights from the sale will be on exhibition in Hong Kong (1 to 5 October), New York (13 to 17 October), and London (22 to 24 October) prior to the pre-sale exhibition in Geneva beginning on 10 November. 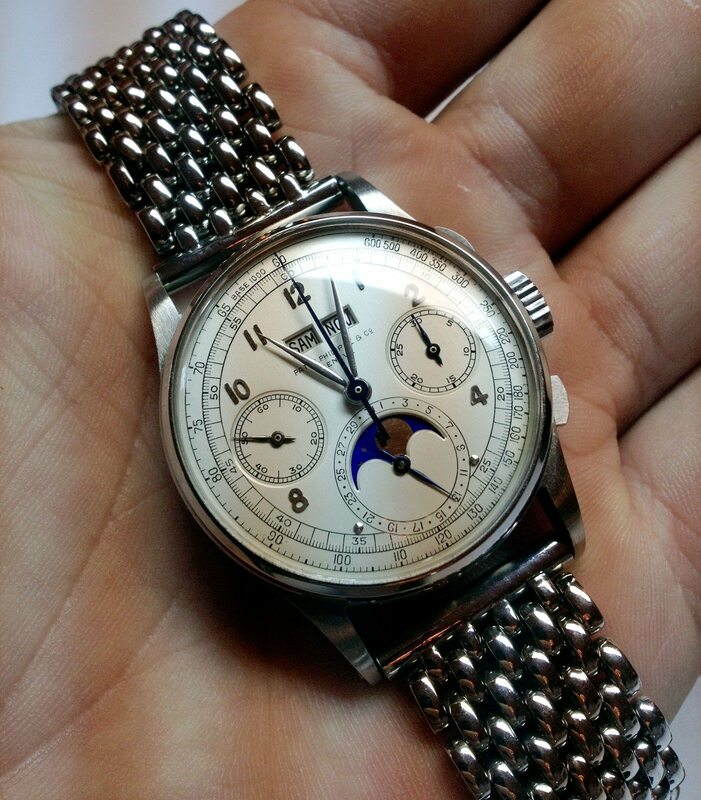 On view will be the featured top lot – the ne plus ultra of collectible watches – the stainless steel Patek Philippe reference 1518 previously announced here in July. This post was written by Philipp on September 26, 2016.